Experience the NK Homes difference! We take pride in offering our customers the distinct ability to customize your home without paying custom prices. NK Homes features a variety of floor plans that meet the needs of your lifestyle and budget. Our single family homes range from 1,630 sq. feet to 4,700 sq. feet and townhomes range from 1,520-1,800 sq. feet. Discover the details of our floor plans below and contact us today to find the home that fits your life. 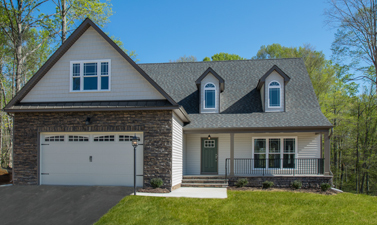 The “Appomattox” by NK Homes is a beautiful transitional home that comes standard with a Craftsman exterior and features two levels of open living space. The Appomattox has 3581 sq. feet, with the option of an additional 780 sq. feet with the completion of both 2nd floor bonus/recreational spaces. This home has 4 bedrooms, including a huge 1st floor owner suite, 3 ½ baths and a 2 car carriage entry garage. The 1st floor owner’s suite offers 604 sq. feet of total space with an en suite bath that boost a 5’6” upgraded soaker tub, “His & Her” separate dressing areas, and oversized ceramic shower. The first floor includes a large great room with twin French doors accessing the back deck, a spacious gourmet kitchen with island bar top and walk-in pantry, large dining room, and a secluded 1st floor office. The 1st floor is completed with a generously spaced laundry room with storage cabinets and laundry sink. Enjoy the private staircase to the 2nd floor that provides access to the bedrooms, loft and optional recreational room. The 2nd floor private loft is 360 sq. feet and is ideal for that 2nd great room space. There are 3 large bedrooms and 2 shared full baths on this floor. This home has two bonus spaces totaling 780 sq. feet that can be left unfinished for storage or can be completed to provide for a game room or flex space that can be customized to meet the buyer’s needs. Available in the Madison Estates community. The “Arlington” by NK Homes is a transitional two-story home plan that offers 2838 sf of living space and includes four spacious bedrooms, 3 ½ baths, and 2 car garage. The first floor offers a large open foyer, large dining room and an oversized great room space that is accessible to the open kitchen with ample perimeter cabinetry, large walk-in pantry and a bar top island. This house has a mudroom off of the garage and features a private powder room. The 2nd floor boost a luxurious owner’s suite with a large walk-in closet and accompanying en suite with a soaking tub, shower and double vanity. The second floor is completed with two additional bedrooms with a “Jack & Jill” bath, large private loft and a generously size laundry room. This home also provides for walk-in storage space. Available in the Timberlake Commons community. 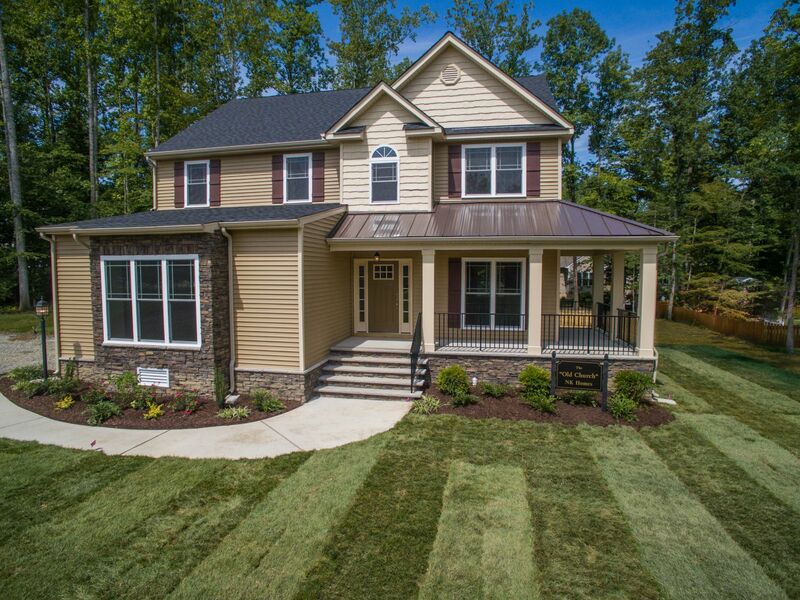 The “Brookwood” by NK Homes is a transitional two-story home plan with 2,492 sq. feet of living space and includes four spacious bedrooms, 2 ½ baths and a 2-car garage. The first floor offers a large family room and an open gourmet kitchen with lots of cabinet space including a cabinet height island and an oversized pantry closet. A formal dining room and open vaulted foyer complete the 1st floor. This home features a luxurious owner’s suite with “his & her” closets, a private sitting area and accompanying en suite that boasts a 6’ soaking tub, large shower and extra-large double vanity. The second floor is completed with three bedrooms, a second full bath and a generously sized laundry room. This home offers a third floor option that provides for walk up access to an additional 560 sq. feet of space that can be finished for additional living space or used as storage. Available in the Rochambeau Estates community. 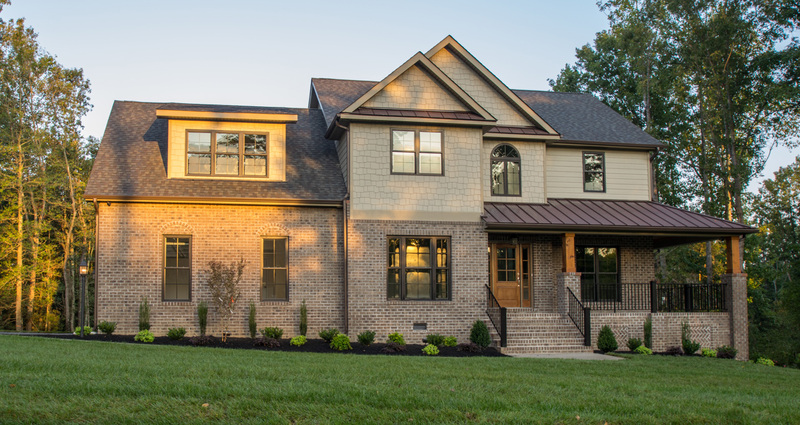 The “Charleston” by NK Homes is a beautiful transitional home that comes standard with a Craftsman exterior and features two levels of open living space. This Charleston has 4327 sq. feet with the option of an additional 484 sq. feet with the optional 3rd floor bonus space. This home has 5 bedrooms, including a huge 1st floor owner suite, 3 ½ baths and a 3 car garage. The 1st floor owner’s suite offers 616 sq. feet of total space with an en suite bath that boost a 5’6” upgraded soaker tub, “his & her” separate dressing areas, and oversized ceramic shower. The first floor includes a large vaulted great room with oversized windows, a spacious gourmet kitchen with island bar top and walk-in pantry, large dining room, and a secluded 1st floor bedroom or office. The 1st floor is completed with a generously spaced laundry room with storage cabinets and laundry sink. Enjoy the catwalk on the 2nd floor that provides spectacular views of the vaulted great room and grants private access to an in-law suite or private office with its own bath. The 2nd floor is completed with a private loft and 2 more large bedrooms and a shared hall bath. This home comes complete with 841 sq. feet of finished bonus space that can be used for a game room or flex space that can be customized to meet the buyer’s needs. A 3rd floor option provides for walk-up access to the 484 sq. feet of additional space that can be used for a theater room, bedroom or game room and allows for the addition of a 2nd laundry room on the 2nd floor. The “Cold Harbor” by NK Homes is a transitional ranch style home plan that offers 1692 sq. feet of living space and includes three spacious bedrooms, 2 baths and a 2-car garage. This home offers a large family room and an open gourmet kitchen with cabinet height island, an oversized pantry closet and a formal dining room. The Cold Harbor also features a luxurious owner’s suite with a generous walk-in closet, and accompanying en suite with 5’ soaking tub, large shower and large double vanity. The home has two additional bedrooms, a second full bath and a generously sized laundry room. A walk-up bonus room option is available that provides for an additional 288 sq. feet that can be finished for additional living space or used as storage. 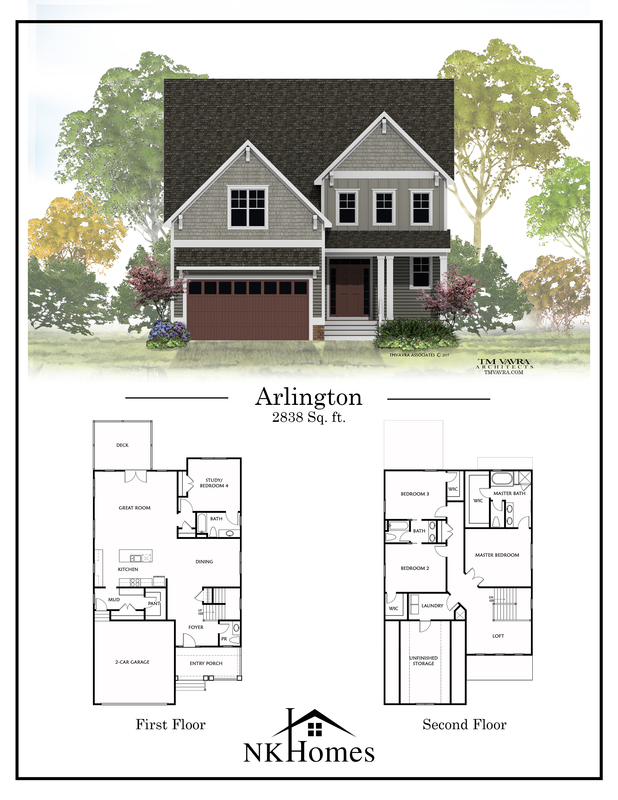 The “Lexington” by NK Homes is a traditional cape home plan that offers 2456 sf of living space which includes four spacious bedrooms, 3 ½ baths and a 2-car garage. The first floor offers a luxurious 1st floor owner’s suite with a huge walk-in closet and accompanying en-suite with 5’ soaking tub, separate shower and large double vanity. A large vaulted family room with expanded single dormer windows, open gourmet kitchen with optional cabinet height bar top, oversized pantry closet and large mudroom/laundry room complete the 1st floor. 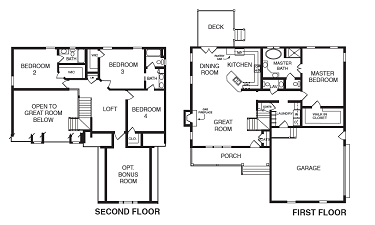 The second floor has three bedrooms (one with its own private full bath) and a 2nd floor loft/foyer/sitting area. This home offers the availability to finish out the optional bonus room or 5th bedroom. This optional space has a triple window w/ half round top that provides excellent light into this additional 273 sf that can be finished for additional living space. The “Madison” by NK Homes is traditional cape home plan that offers 1960 sq. feet of living space and includes three spacious bedrooms, 3 ½ baths and a 2-car garage. The first floor offers a luxurious 1st floor owner’s suite with a huge walk-in closet and accompanying en suite with 5’ soaking tub, separate shower and large double vanity. A large vaulted family room with an expanded single dormer window, open gourmet kitchen with optional cabinet height bar top, oversized pantry closet and large mudroom/laundry room complete the 1st floor. The second floor is completed with two bedrooms each with its own separate full bath and a 2nd floor foyer/sitting area. This home offers a bonus room option with a triple window w/ half round top that provides excellent light into this additional 256 sq. feet that can be finished for additional living space. The “Old Church” by NK Homes is a transitional two-story home plan that offers 2350 sq. feet of living space and includes four spacious bedrooms, 2 ½ baths, and 2 car garage. 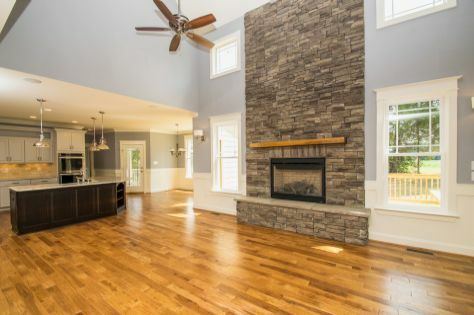 The first floor offers an open foyer attached to the spacious great room with additional family room space that is accessible to the open kitchen with ample perimeter cabinetry and a bar top island. This home features private stairway entry to the 2nd floor. The second floor boasts a luxurious owner’s suite with “his & her” closets, a private sitting area and accompanying en suite with a corner soaking tub, shower and double vanity. The second floor is completed with three additional bedrooms, a second full bath and a generously size laundry room. The “Pamunkey” by NK Homes is a traditional ranch style home plan that offers 1630 sq. feet of living space and includes three spacious bedrooms, 2 baths, and 2 car garage. This home offers a large family room and an open gourmet kitchen with ample perimeter cabinets including a cabinet height kitchen island, and a formal dining room. The Pamunkey also features a luxurious owner’s suite with a generous walk-in closet, and accompanying en suite with a 5’ soaking tub, large shower and separate “his & her” vanities. The home has two additional bedrooms, a second full bath and a generously sized laundry room. This home is also available in the “Pamunkey II” which offers an expansion option that will provide for an additional 172 sq. feet of living space to the home at the living room, dining room and the bedroom areas. 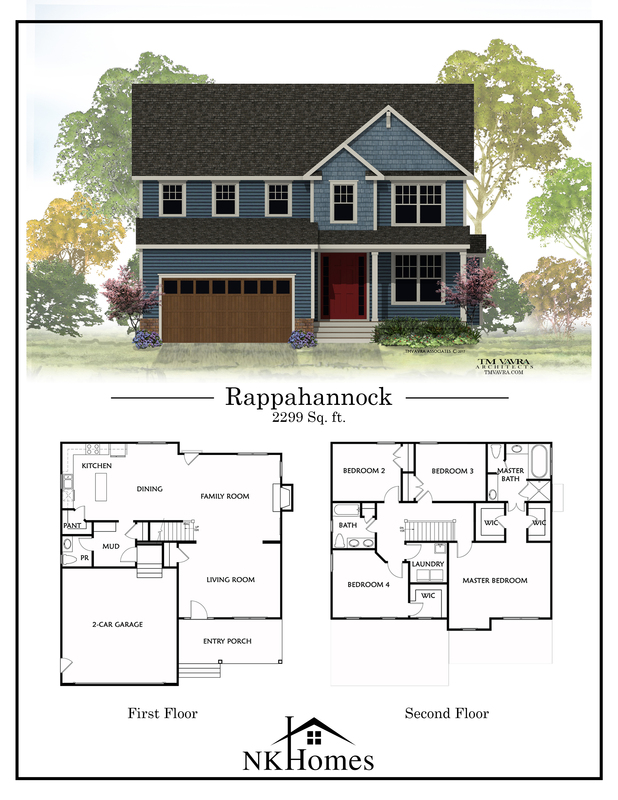 The “Rappahannock” by NK Homes is a transitional two-story home plan that offers 2299 sf of living space and includes four spacious bedrooms, 2 ½ baths, and 2 car garage. The first floor offers an open foyer attached to the spacious living room with additional family room space that is accessible to the open kitchen with ample perimeter cabinetry and a bar top island. The 2nd floor boost a luxurious owner’s suite with “his & her” closets, a private sitting area and accompanying en suite with a corner soaking tub, shower and split vanity. The second floor is completed with three additional bedrooms, a second full bath and a generously size laundry room. The “Richmond” by NK Homes is a beautiful transitional home that comes standard with a Craftsman exterior and features two levels of open living space. The Richmond has 3300 sq. feet of living space with the option to add an additional 495 sq. feet with the completion of the private bonus space over the garage. This home has 4 bedrooms, all on the 1st floor, including the huge 1st floor owner suite, 3 full baths and a guest powder room and features a full-size 2 car carriage-style entry garage. The 1st floor owner’s suite offers 483 sq. feet of total space with an en suite bath that boosts a 5’6” upgraded soaker tub, large oversized closet / separate dressing area, and oversized ceramic shower. The first floor includes a large open dining room, a spacious gourmet kitchen with island bar top and open breakfast area, large family room offers an abundance of natural light, and a front office or 4th bedroom. The 1st floor is completed with a generously spaced laundry room with storage cabinets and laundry sink. The 2nd floor contains a loft and an oversized bonus room with its own separate full bath that can be easily converted to a 5th bedroom for the perfect in-law suite. The bonus room contains 681 sq. feet of additional finished space that could easily be used for a private game room or theater space. Lastly, enjoy the “private entrance” that provides easy access to the available unfinished space over the garage that can be used for storage or finished to provide for additional living space. The “Savannah” by NK Homes is a beautiful transitional home that comes standard with a Craftsman exterior and features two levels of open living space. The Savannah has 4135 sq. feet of living space with the option to add an additional 607 sq. feet with the completion of the private bonus space over the garage. This home has 4 bedrooms, including a huge 1st floor owner suite with a sitting area, 3 full and two ½ baths and a full-size 3 car garage. The first floor owner’s suite offers 714 sq. feet of total space with an en suite bath complete with a 5’6” upgraded soaker tub, “His & Her” separate dressing areas, and oversized ceramic shower. The first floor also includes a large vaulted dining room, a spacious gourmet kitchen with island bar top and walk-in pantry, large open great room with plentiful windows which allow ample natural light, and a free flowing 1st floor office or formal living room. The first floor is completed with a generously spaced laundry room with storage cabinets and laundry sink and a separate ½ bath. The 2nd floor has 2 bedrooms that share a “Jack & Jill” bathroom and a 3rd bedroom with its own separate full bath. The 2nd floor is completed with 397 sq. feet of additional finished space that can be used for a private game room or theater space. 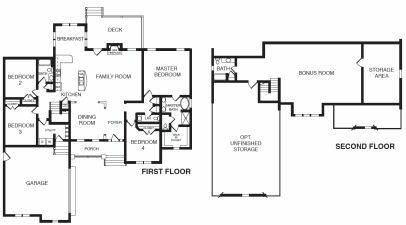 Lastly, enjoy the “private staircase” that grants access to the available unfinished space over the garage that can be used for storage or finished to provide for a complete in-law suite or private office with its own bath. Loaded with windows, this space provides for generous amounts of natural light and comes complete with a rough-in for future HVAC expansion. The “Viniterra” by NK Homes is a transitional two-story home plan with 2159 sq. feet of living space and includes three spacious bedrooms, 2 ½ baths and a 2-car garage. The first floor offers a large family room and a galley style gourmet kitchen with a cabinet height bar top and both a pantry closet and pantry cabinet. 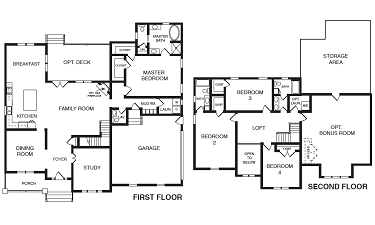 A breakfast nook, formal dining room, in-home office (or 4th bedroom), and open vaulted foyer complete the 1st floor. This home features a luxurious owner’s suite with “his & her” closets, and accompanying en suite with 5’ soaking tub, large shower and large double vanity. The second floor is completed with two bedrooms, a second full bath and a generously sized laundry room. This home offers a bonus room option with an oversized 6’ dormer with oversized windows that will provide for an additional 488 sq. feet that can be finished for additional living space. 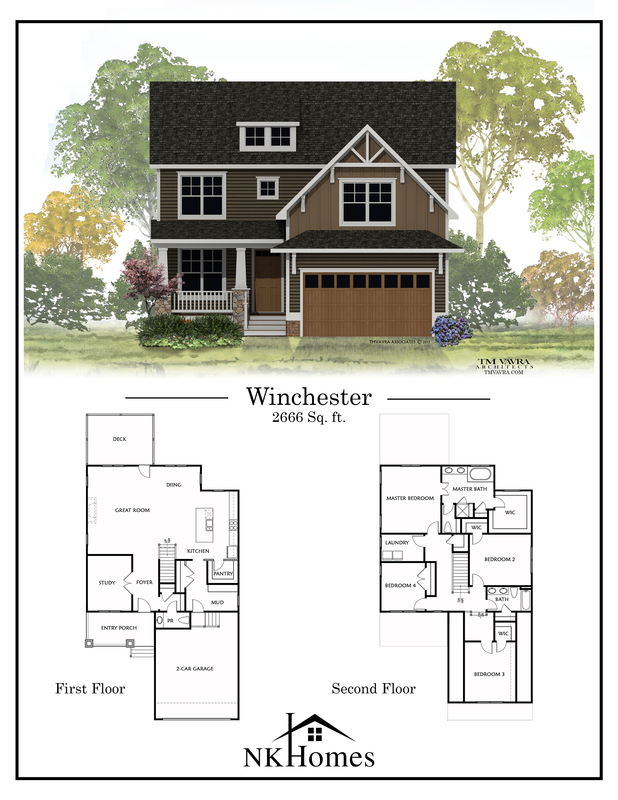 The “Winchester” by NK Homes is a transitional two-story home plan that offers 2666 sf of living space and includes four spacious bedrooms, 2 ½ baths, and 2 car garage. The first floor offers a large open foyer, private study, and an oversized great room space that is accessible to the open kitchen with ample perimeter cabinetry, large walk-in pantry and a bar top island. This house has a mudroom off of the garage and features a private powder room. The 2nd floor boost a luxurious owner’s suite with a large walk-in closet and accompanying en suite with a corner soaking tub, shower and double vanity. The second floor is completed with three additional bedrooms, a second full bath and a generously size laundry room. The “Yorktown” by NK Homes is a transitional two-story home plan with 2979 sf of living space and includes four spacious bedrooms, 3½ baths and a 2-car garage. The homes offers a luxurious first floor private owner’s suite with “his & her” closets and en-suite with 5’ soaking tub, large shower and large double vanity. Featured are the spacious family room and a gourmet kitchen with a generous cabinet height island and ample cabinet space. A breakfast nook, formal dining room, in-home office or study and an open vaulted foyer with views up to the 2nd floor loft complete the 1st floor. The second floor has an open airy loft and is completed with two bedrooms that share a jack & jill bath and a third bedroom with its own private bath. This home offers an over-sized bonus room option that provides for a large 6’ dormer with a triple window that will convert to an additional 662 sf of living space. Available in the Madison Estates and Rochambeau Estates communities. Available in the Village at Pebble Lake community.